Tuesday mornings are my favourite because I head across the road to Melton Farmer’s Market, eat a bacon sandwich and head into the auction sheds to see what treats are on offer. One of the many things I love about this bustling weekly market is that you never know what you are going to find. 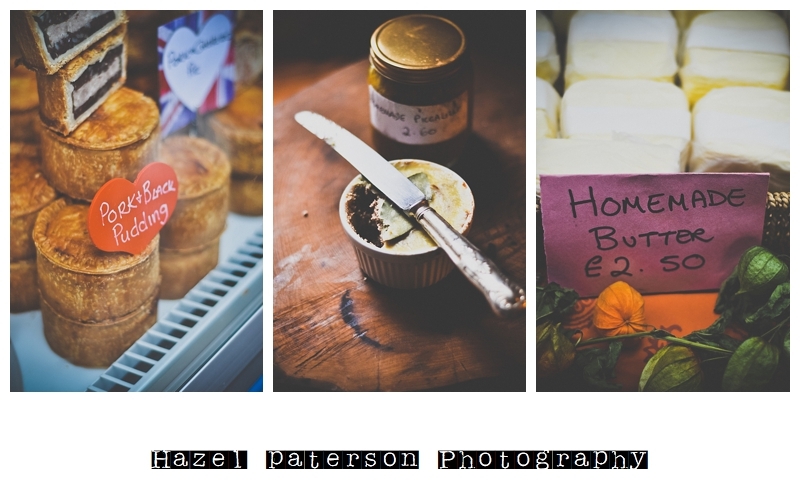 A couple of months ago I nominated Melton Farmer’s Market for the Best Food Market category in the BBC Food and Farming Awards. A couple of weeks ago I was stood in the kitchens prepping Sunday lunch and listening to BBC Radio 4’s Food Programme on the little radio, as I always do, when I heard Valentine Warner read out my nomination. I really like Valentine’s approach to food and cooking, in fact the only cookbook I have in the work kitchen is his “What to Eat Now – Autumn/Winter” book, which sits next to the radio. I recognised my words instantly, Melton Farmer’s market had made it to the final three from hundreds of nominations, I was ecstatic! I’m still ecstatic about it, Melton Farmer’s market is the heart and soul of countryside living and it really deserves to be celebrated. Earlier in the year I took Radio Leicester’s Ben Jackson to the market. Ben is passionate about the county and it’s wonderful food and we had a blast, as we always do when we hang out together, and I promised that once game season kicks off we would do it again. Well game season is in full swing and yesterday morning off we went to see what was on offer in the Fur and Feather shed. 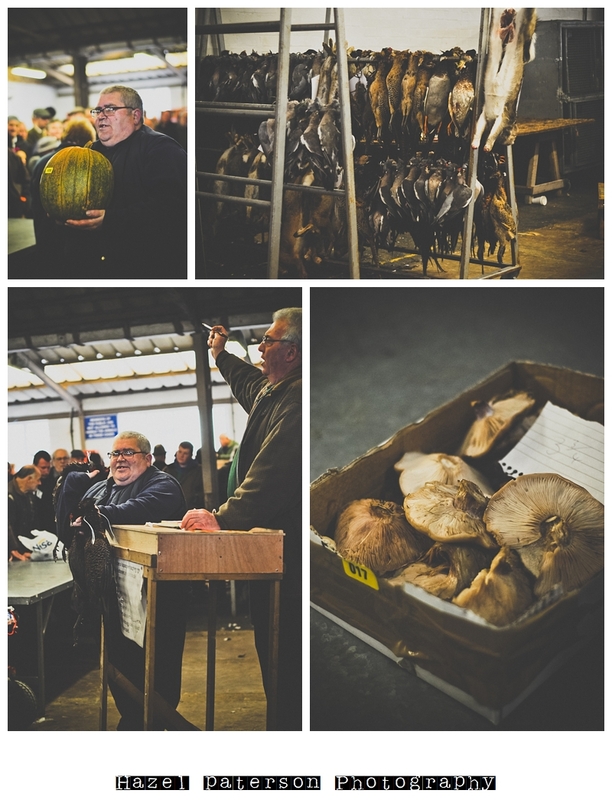 There were pheasants, partridges, pigeons, rabbits, hares, ducks, venison and grouse hanging on the racks and on the tables were boxes of huge turgid savoy cabbages, bags of onions, plenty of massive squashes, a giant pumpkin and lots of boxes of foraged mushrooms, marvellous! 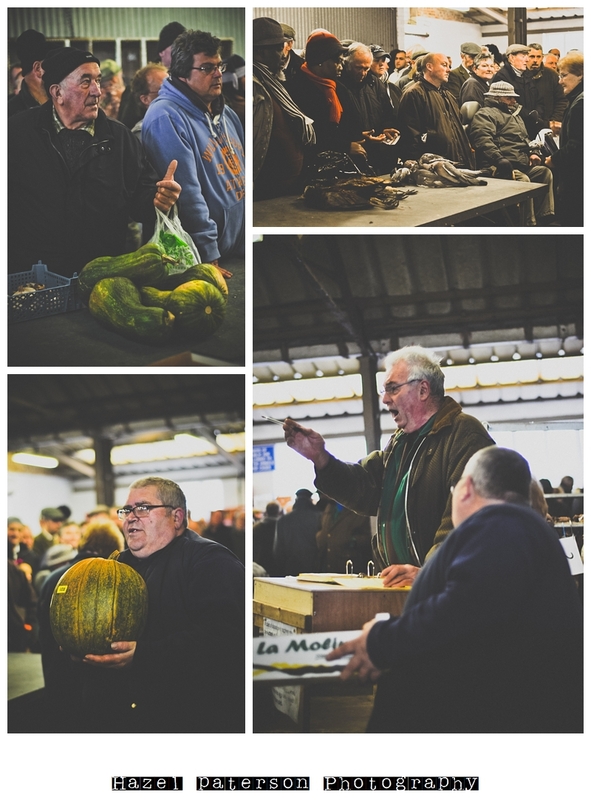 What I love about the auction is that the people around you love to talk about the food that’s being sold. Recipe tips are exchanged and foraging spots shared. Unlike pretty much everyone else that attends the auction I’m not a huge fan of the blewitt mushrooms which are called Blue Legs here. I prefer the meaty parasol mushrooms and am always the solitary bidder (likewise when I buy squirrels!) so people are always happy to tell me where they’ve seen lots growing. 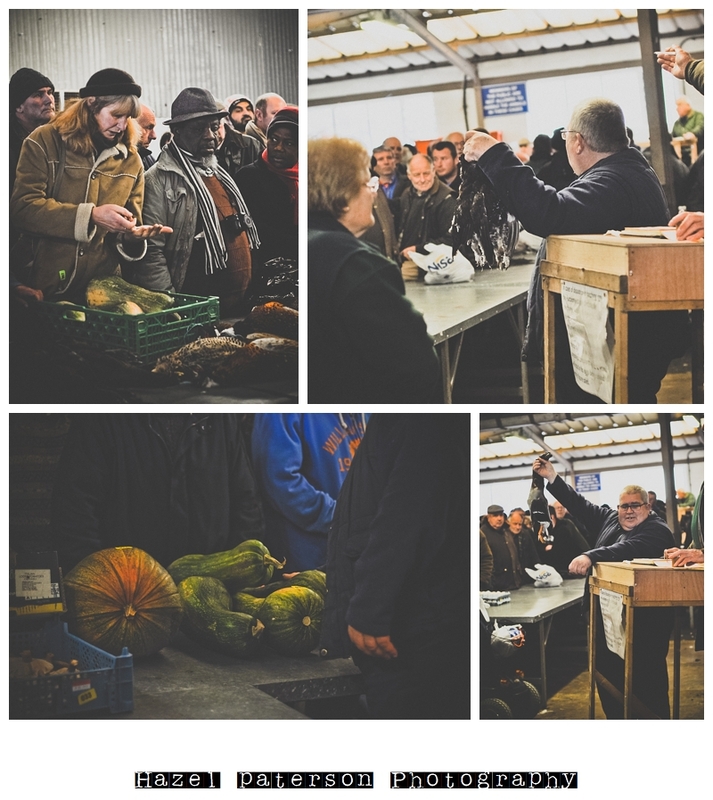 Whilst there on Tuesday morning we chatted to the bidders around us, swapping hanging and cooking techniques, discussing how the price for the venison was high this week and the price of live chickens so low (just £1 for 4 birds) and that you could pick up two big plump live turkeys for just £30 today. I wish I had more outdoor space I really do, I think my chickens would object to sharing their coop with a huge turkey or two. Lots of people outside of such a community seem to view game as being something for the upper classes, for the toffs to shoot and eat, but that couldn’t be further from the truth. Game is cheap, healthy and plentiful. Game isn’t a “food trend” on people’s plates round here, it’s a seasonal feast that’s looked forward to each year and welcomed back into our kitchens with gleefully hungry, open arms. Pheasants were going for £1.50/brace, Grouse went for a whopping £13 this week as there was just the one brace and the mallards just £1.50. That huge pumpkin was sold to me for a mere £1! 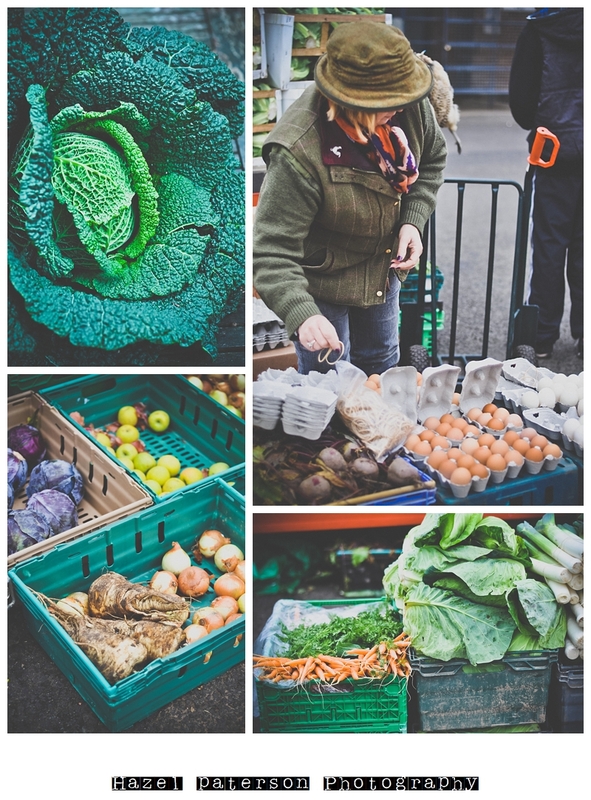 The veg is always top quality and we walked away with the most perfect savoy cabbages and a whopping pumpkin that weighted in at 7.4kg for just £1. So far that pumpkin has been turned into a huge pumpkin and porcini lasagne, 50 yes FIFTY rich and fudgy pumpkin, walnut and chocolate brownies and I STILL have 1/4 of it left to use up. It’s not just the auctions that draw me to the market every week but in the food shed you will find the wonderful Maria and her homemade delights. Maria’s homemade butter is just incredible and this week her husband Tony, who makes wonderful chilli sauces and wooden chopping boards, had been out shooting and whipped up lots of venison pâte. In the 3 years that I’ve been living in Melton Mowbray, and using the cattle market twice a week, it has become my main source of food and enjoyment in this town. It never fails to enrich my cupboards, larder and dining table and will hopefully continue to do so for many years. If you ever get a chance to come over to Melton on a Tuesday morning then make sure you have a wander around all the different sheds; you’ll find antiques, collectables, firewood, building wood, clothes, kitchenalia, not to mention all the ferrets, pigs, sheep, cows, canaries, geese, well the list goes on and on. Come over, come early (auctions kick off about 9:30am), grab yourself a wild boar bacon sandwich from Paul (aka The Roosterman) and take it all in, you won’t be disappointed.